A native of the UK, Andrew Arthur enjoys a reputation throughout Europe and the USA as a musician of exceptional versatility. Equally at home as a conductor, keyboard soloist, ensemble player and teacher, he combines all of these disciplines within his positions as Fellow and Director of Music at Trinity Hall, Cambridge and Affiliated Lecturer in the University's world-renowned Faculty of Music. An acknowledged specialist in the music of the Baroque and Classical periods, Andrew Arthur is highly regarded on the international concert platform. Andrew Arthur is Associate Director of the internationally renowned period-instrument orchestra, The Hanover Band, with whom he has also worked regularly as a Principal Soloist and continuo-player since 2000. Directorial engagements have included numerous large-scale UK tours, regular annual performances of J.S. Bach's Passions and Handel's Messiah, various programmes of Bach's solo cantatas with countertenor, William Towers, and baritone, Thomas Guthrie, and an orchestral tour of concerti and suites by Bach and Telemann including appearances in the Festival des Cathedrales de Picardie, Amiens, France and the Brighton Early Music Festival. In 2013 he undertook an orchestral concert tour of the South Downs combining educational workshops with local schools featuring a new commission by Anthony L’Estrange, marking the Jubilee celebrations of the Queen’s Coronation. As keyboard soloist with the Band, highlights include performances of Mozart's Piano Concerto No. 20 in D minor, Haydn's Harpsichord Concerto in D, Handel’s Organ Concerti and numerous performances of Bach's Harpsichord Concerti and Brandenburg Concerto No. 5 which he will be recording with the Band in May 2019. In 2002 Andrew Arthur founded his own period-instrument ensemble and vocal consort, Orpheus Britannicus. Since 2008 Orpheus Britannicus have been Ensemble in Residence at Trinity Hall, Cambridge in which guise the group has explored chamber, vocal and choral repertoire from the sixteenth to the twentieth centuries. Recent projects have included Handel’s Coronation Anthems, choral programmes of J.S. Bach's Motets, sixteenth- and seventeenth-century English verse anthems, German Romantic Motets, Church music by S.S. Wesley and an Anniversary celebration of Benjamin Britten and Francis Poulenc, together with instrumental programmes of J.S. Bach’s chamber music, Corelli's Trio Sonatas and Music from Georgian England. More recently, Orpheus Britannicus has collaborated with the Chapel Choir of Trinity Hall in both concerts and recordings. Following the wide success of their first CD recording of music by Henry Purcell, a further disc of Buxtehude's Passiontide cantata-cycle, Membra Jesu nostri, is set for release in 2019. Most recently, the ensemble has released a new disc of Italian, Austrian and Bohemian baroque music for trumpet and strings with the renowned baroque trumpeter, Robert Farley. 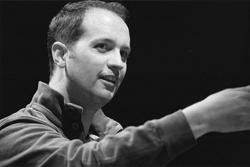 From 2006-2014 Andrew Arthur also held the position of Principal Conductor of the Euterpe Baroque Consort based in Antwerp, Belgium, during which tenure the ensemble gained an enviable reputation for its imaginative programming and fresh, expressive performances, broadcasting both major works and chamber concerts on live radio for KLARA and appearing regularly at prestigious festivals such as Klara in het Paleis and the Festival van Vlaanderen. Andrew Arthur’s solo keyboard engagements encompass organ, harpsichord and fortepiano literature. Alongside his regular appearances as a recitalist and concerto soloist, he remains in great demand as a continuo player with several of London’s leading period-instrument ensembles, working under such renowned conductors as Sir John Eliot Gardiner, Nicholas Kraemer, Bruno Weil and the late Sir Charles Mackerras. He has also worked regularly in partnership with the eminent baroque violinist, Elizabeth Wallfisch, engagements with whom include performances in the USA of J.S. Bach's complete works for violin and harpsichord and Biber's 'Mystery' sonatas, together with appearances in the UK at the Suffolk Villages Festival, Conway Hall, Lufthansa Festival of Baroque Music, and the Wigmore Hall. In 2000, he participated as a continuo-player in the celebrated Bach Cantata Pilgrimage with the English Baroque Soloists under Sir John Eliot Gardiner. He currently holds the position of Principal Organist & Harpsichordist at the Carmel Bach Festival in California, where he also sits on the Committee of Artistic Directors, and is currently involved in performing a complete cycle of J.S. Bach’s organ works and in directing a series of J.S. Bach's complete cantatas for solo voice. Over the last two decades, his appearances as player, conductor and lecturer at the festival have been met with considerable critical acclaim. Andrew appears frequently on Television and Radio broadcasts, and has played on and directed numerous CD and DVD recordings for the BBC, ASV, Soli Deo Gloria, LIR CLassics, Opera Rara, Griffin, Priory Records and Resonus Classics. His solo recordings, all of which have all been met with enthusiastic praise in the international musical Press, encompass keyboard repertory spanning over 350 years. In 2007, he toured the UK performing the complete organ works of Dieterich Buxtehude, marking the composer's tercentenary year. As a conclusion to this tour, he recorded a double-CD entitled ‘The Buxtehude Influence’ – the first recording to be made on the fine Danish organ by Carsten Lund at Trinity Hall, Cambridge. A further double-CD recording entitled 'The Young J.S.Bach' was released in 2016 to mark the instrument's tenth Anniversary and a further disc features the superb Trinity Hall Harpsichord by Andrew Garlick, after Goujon (1748). Alongside his busy concert and teaching schedule, Andrew has maintained a life-long commitment to liturgical music, an interest nurtured initially through his early training as a Cathedral chorister and subsequently as organ scholar and Acting Precentor at Gonville & Caius College, Cambridge and as deputy Lay-Clerk at St John's College, Cambridge. He has since held the positions of Associate Director of Music at the world-famous Butterfield Church of All Saints, Margaret Street, London and Deputy Master of Music of the Chapels Royal, HM Tower of London. At present, he works throughout the academic year training the Organ Scholars and conducting the Chapel Choir at Trinity Hall with whom, in addition to their regular schedule of services in the College Chapel, he undertakes a number of concerts, recordings and foreign tours.